Mohd Affendi Rosli got off to a competitive start by coming in third quickest in the rain-hit CP130 practice for Round 8 of the PETRONAS AAM Malaysian Cub Prix Championship at Stadium Syed Putra, Kangar, Perlis. The PETRONAS Yamaha CKJ recorded his best lap in 44.840s behind former teammate, Norizman Ismail and Zaqhwan Zaidi who posted their best effort in 44.703s and 44.727s. Meanwhile, Norizman’s teammate, Mohd Fitri Ashraf Razali and PETRONAS Yamaha Maju Motor’s Taufiq Roslan rounded up the top five. “We had a positive start,” said Affendi. “But to be frank, if it didn’t rain, we could have posted a stronger lap time. Nevertheless, I am still pleased with the results and tomorrow we will experiment with a different setup and see where we can improve further,” he added. Meanwhile Mohd Amirul Ariff Musa established himself as the man to beat as he clocked the fastest lap in the CP115 practice session. 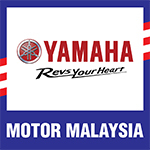 The Honda rider timed 43.329s and pipped Kangar-born Elly Idzlianizar Ilias by 0.241 seconds while Motul Yamaha YY Pang’s Izzat Zaidi Salehan came in third quickest in 43.642s. Separately the WIRA, Pro-Am and one-make practice sessions unfortunately had to be cancelled due to unfavourable weather conditions.